Moontec is the largest blockchain summit in the Nordics. This year, it came back to Tallinn, Estonia, Europe’s future crypto hub. During the two days of the summit, blockchain and crypto enthusiasts will get a chance to listen to a wide selection of speakers, meet like-minded people, as well as promote themselves and their businesses. CoinMetro is represented at this year’s Moontec both as a company and as a speaker. 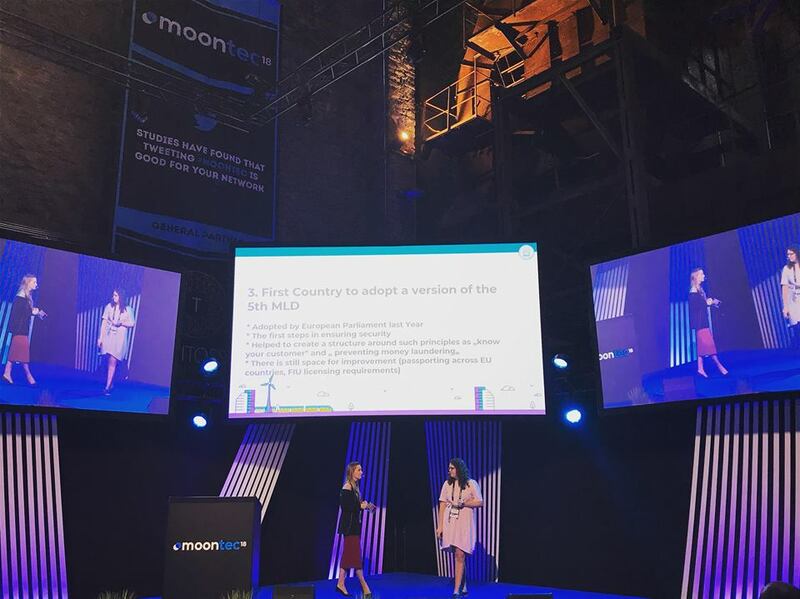 Our Director of Investor Relations, Alina Varkki, and Executive Assistant, Maris Lepp, talked about whether Estonia is a crypto friendly country. Do you think it is? Here are the key facts. In less than a year since Estonia introduced licensing for cryptocurrency companies, the number of licenses issued has exceeded 900. Estonia, which is among the first European countries to legalize crypto-related activities, grants two types of crypto license. Around 500 licenses have been issued to entities operating digital asset exchange platforms. In addition, over 400 cryptocurrency wallet providers have been licensed. Estonia’s banking industry is looking at the bright crypto side as well. Estonia’s LHV Bank is one of the earliest institutions to embrace blockchain. LHV even went so far as to launch its Cuber Wallet app, a blockchain-based wallet that allowed users to send digital representations of real euros. As you can see, many crypto startup enthusiasts and investors are attracted to Estonia by the generally favorable crypto conditions. We have proudly answered the question of what CoinMetro is countless times today! 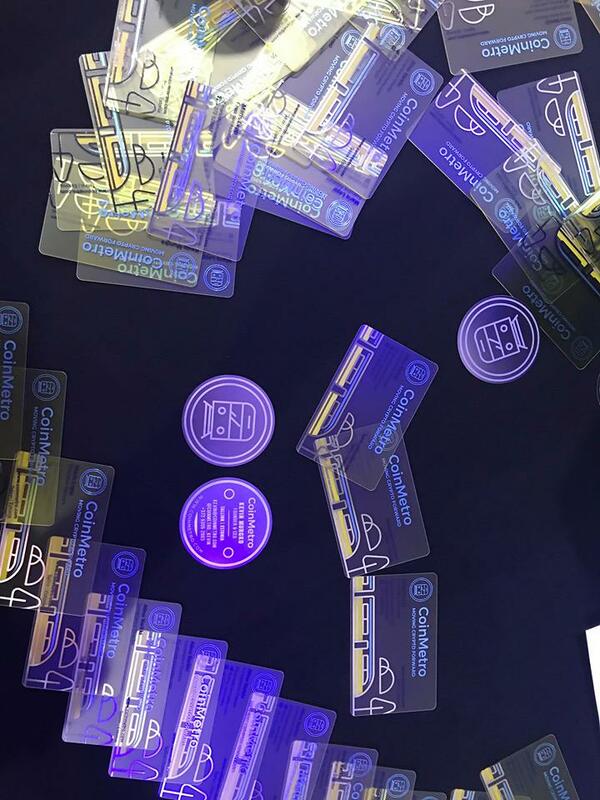 CoinMetro is a unique all-in-one tokenized platform with exclusive features that will transform and democratize the crypto space. We drive blockchain innovation forward, making it simple, available, and accessible to all alike. Mass adoption is what we strive for. Cryptos were created by the people for the people, and the use of blockchain and crypto must be easy enough for everyone to handle it. CoinMetro welcomes you to join the crypto world no matter your skills and experiences! With us, you can start small, gradually working your way through the crypto-verse. Learn more at https://coinmetro.com and help us redefine traditional banking! Are you following us on Instagram? If not, we offer live coverage from Moontec’18, posting juicy inside sneak peeks. Join our crypto tribe here! Keep your eyes open for Day 2 and stay cool!